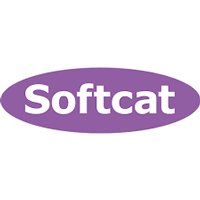 Softcat plc (LON: SCT), a leading UK provider of IT infrastructure products and services, today published its half year results for the six months to 31 January 2019. The results reflect the Company’s continued ability to gain an increasing share of the market, delivering both very strong profit growth and excellent cash generation. · Added 620 new customers, with total customers up 6.5% (H1 2018: 597 / 6.7%). · Interim dividend of 4.5p per share (up 36%) to be paid on 10 May 2019, with the shares trading ex-dividend on 4 April 2019. “It’s been another period of very strong performance for the Company, characterised by additional market share gains. We have maintained our ongoing and long-term investment in building scale and creating new capabilities, and this has delivered further success against both of our simple strategic goals of doing more business with our existing customers and winning new customers. We added more than 600 new customers in the period while gross profit per customer grew by almost 20%. Those metrics extended our run of unbroken year-on-year income and profit growth to a 54th quarter. Alongside the depth and breadth of our technology offering, we believe that the greater part of our competitive advantage manifests itself in the attitude of our people. Their teamwork and collaboration is focussed on delivering outstanding results for our customers and continues to be a key driver of our success. I can’t thank the Softcat team enough for their tremendous contribution so far this year. For our shareholders, I’m pleased to report a 36% increase in our interim dividend, in line with our unchanged and progressive policy. Click SCT for the full archive.